Yeah, not that Ice Cube, though that would be so awesome. Scientists have been searching for evidence of the elusive neutrino particle from outer space for decades. Thanks to the IceCube Neutrino Observatory in Antarctica, researchers have finally found the first neutrinos in our solar system since 1987, opening the door for countless potential discoveries about the universe. One of the main problems with conventional wireless signals is that they can be obstructed, and pretty easily at that. You can very, very rarely get cell service in a subway, and sometimes just being inside a building can make things difficult. Unlike radio waves however, neutrinos can power through just about anything, making them a great potential vehicle for wireless communications. 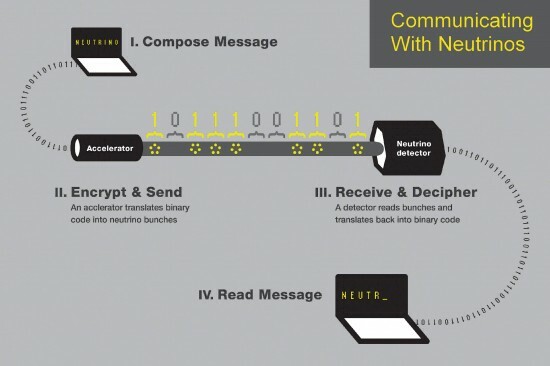 Now, the first ever neutrino beam message has been sent, and it was delivered through 240 meters, 262 yards, or 787 feet of solid stone. Doubtless you remember all the hubbub back in September when researchers at CERN observed neutrinos moving at faster than the speed of light. Of course, there were immediate calls for further testing, many scientists whole-heartedly expecting the next round of experiments to lay bare an error that could explain away the results. Nope. Retests are still showing neutrinos that are outpacing beams of light, even in follow-up tests specifically designed to eliminate some of the perceived inaccuracies of the first test. A few weeks ago, news broke that scientists at the CERN laboratory observed what could be particles traveling faster than the speed of light. With such physics-shaking implications on their hands, the researchers put out a call for independent verification. Though there have been a flurry of responses, one from the University of Groningen's Ronald van Elburg could be the sweeping refutation that puts this issue to rest. Emphasis on "could be." In the original experiment, called OPERA, scientists measured how long it took for particles called neutrinos created at CERN to arrive at the Gran Sasso Laboratory in Italy. The distance between the laboratories (roughly 454 miles), and the fact that Gran Sasso is located underneath quite a bit of mountain, complicated the experiment since synchronizing two clocks in different locations is extremely difficult. In order to account for this, the scientists relied on the time signal from an orbiting GPS satellite. Using this benchmark, the researchers found that the neutrino arrived 60 nanoseconds earlier than light would. However, it's this reliance on an orbital clock that van Elburg says is causing the results observed in the OPERA experiment. According to a report by the Associated Press, researchers at CERN have observed a subatomic particle moving faster than the speed of light. That's right, faster than the speed of light. Like any sane people, these researchers are currently looking for outside sources to verify their results, and with results as mind-boggling as these, who could blame them. It appears that the actual observation happened several months ago when a neutrino was shot 454 miles from the area around Geneva to Italy and clocked in at 60 nanoseconds over the speed of light. That's not much over, but the margin of error was only 10 nanoseconds, which means this is a statistically significant discovery. After pouring over the results for months, CERN has now turned to the U.S. and Japan to double check their work. 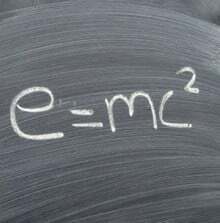 Although 50 to 70 nanoseconds over the course of 454 miles might not sound like much, it could actually change the understanding of physics as we know it, or at least as we've known in the past century. 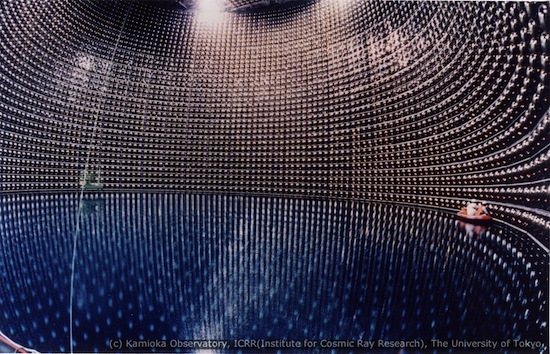 Since its construction in 1983, the Super-Kamiokande neutrino observatory ("Super-K") in Hida, Gifu Prefecture, Japan has been conscripted to help solve perplexing physics questions by detecting neutrinos. Neutrinos are absurdly non-interactive, so the Super-K, when in operation, is filled with 50,000 tons (read: 12.5 million gallons) of pure water. On the very off chance that a neutrino interacts with a water molecule, it emits light such that the Super-K's detectors can pick up lots of salient information about the neutrino's origin and properties. Now, the Super-K is enrolled in the most sensitive neutrino experiment yet conducted: beaming neutrinos from almost 300 miles away to see why they change forms the way that they do.